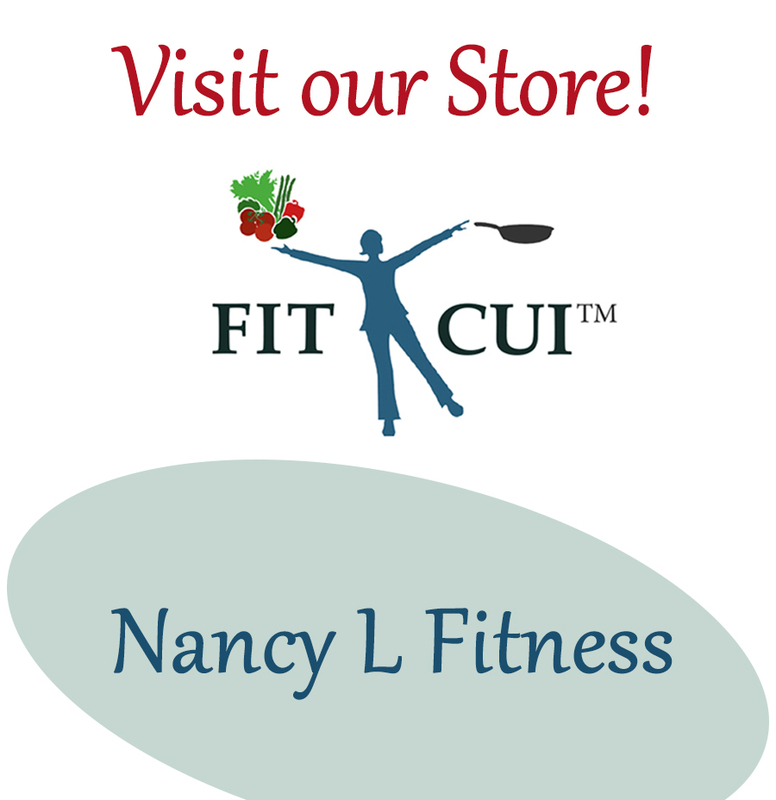 June 2, 2015 July 10, 2016 Nancy L.
Abdominal muscles (Abs) provide support to maintain posture and participate in breathing process especially during exhale (when they help force air out of the lungs by depressing the thorax). When exercised they can be defined by the 6-pack ab effect (Rectus Abdominis). The deeper muscles (close to the spine) have the most effect on posture and help to maintain a healthy back (Transverse Abdominis). 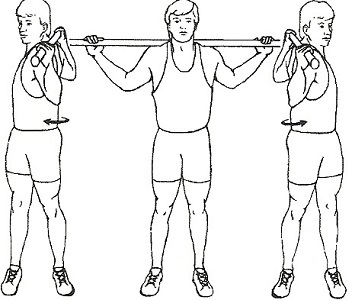 The Oblique muscles that run along the sides of the torso/trunk (external & internal) work to rotate the trunk/torso and (bend) flex the spine, along with maintaining posture. You do not need to go to the gym or need much equipment to exercise the Abs. Described below are a few routines that, when consistently practiced, will work and build these muscles. Sit on the fit ball. 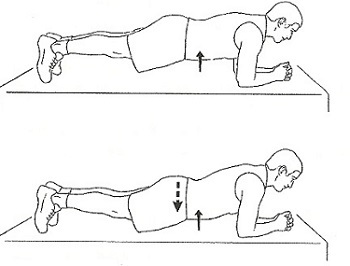 With stomach muscles tightened slowly lower your trunk parallel to the floor. 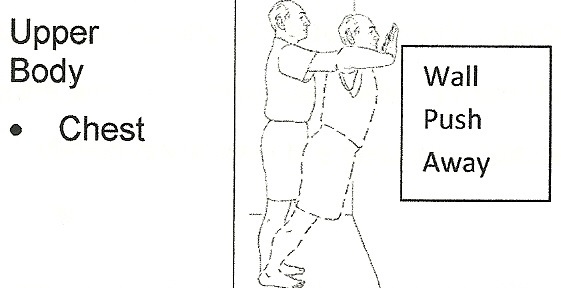 Hold this position for 3 – 5 seconds. 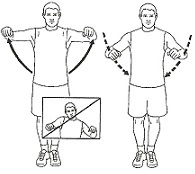 Do decrease intensity place hands by hips. 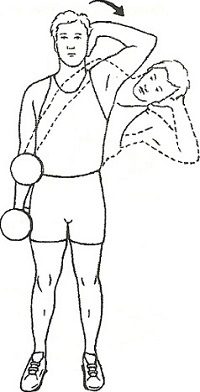 Twisting at the waist, rotate upper body from side to side. Be sure to keep the back straight. Do this 10 – 12 times. Grasping a dumbbell (or bag of rice from the kitchen), tighten abs. Bend to the side as shown. Do this 8 – 10 times. 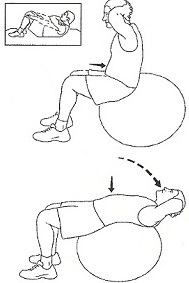 On your back, bring knees to a 90 degree angle. 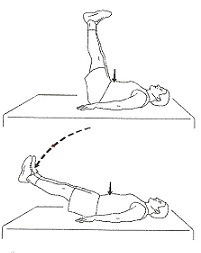 Bring hips up (curl hips) so that lower back lifts up off the floor. Do this 6 – 8 times. On your back, bend legs and tighten abs. 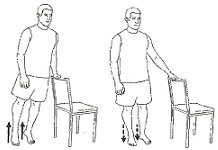 Raise upper body and one (1) bent leg. 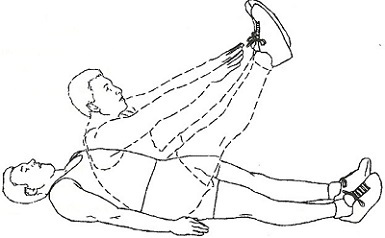 Twist touching the opposite elbow to the knee of the raised leg. 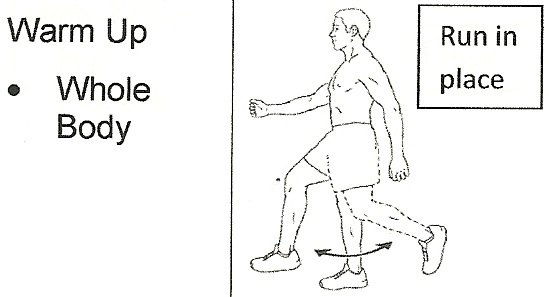 Do this 8 – 10 times for each leg. On your back, place your feet on Fit Ball. 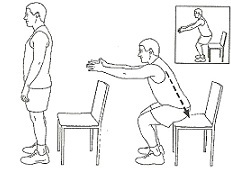 Lift hips off floor; squeeze buttocks (glutes). 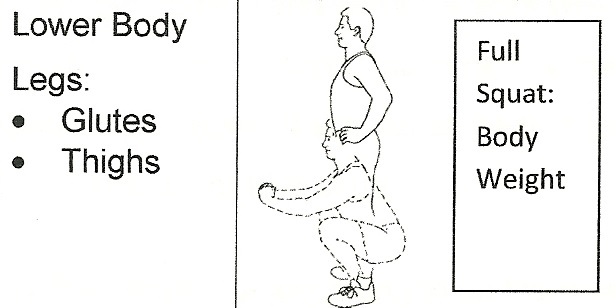 Slowly lower hips for 3-5 seconds. 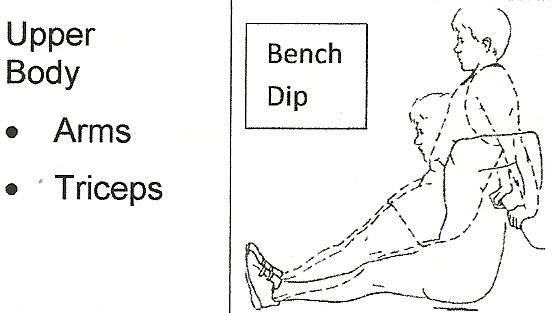 Do 8-10 reps; 3 sets. 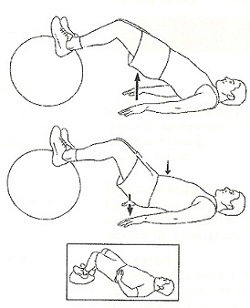 For an easier version of this exercise use a BOSU ball (instead of Fit Ball). 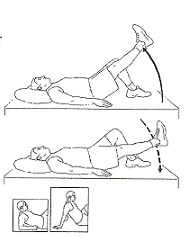 Lie on your side with your feet and elbow touching the floor. 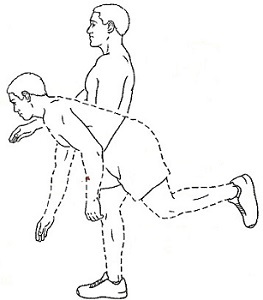 Lift you torso / trunk so that only your elbow and foot are touching the floor. Slowly lower your trunk for 3-5 seconds. 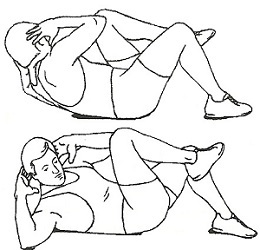 Tighten Abs while laying on the floor. Using the strength from your abs, simultaneously raise upper body and legs forming a “V”. Reach to touch ankles or feet. Rest, then do another set. 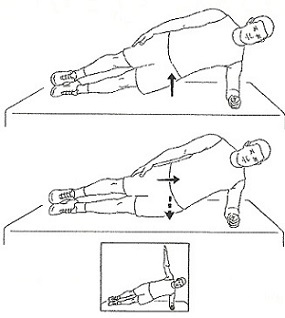 In the prone position Tighten / Pull in abs to stabilize your trunk. Raise up on toes and elbow. Slowly lower downward without arching back. Touch the floor (if possible). Return to upright, keeping back straight and leg bent.